I decided to do a sample story and practice for my NaNiWriMo challenge. 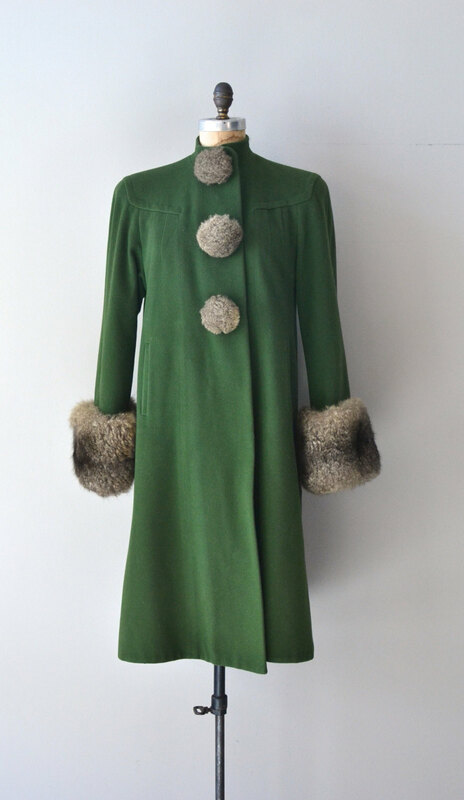 This coat from Dear Golden Vintage has always called to me - I think it has a story to tell. Whoever owned that coat was bold, independent and fun. I think its story is a happy one. It's a little rough around the edges - it's been so long since I've written a story. But here we go. Snow floated down from the dark gray clouds, white and pure and swaying in the slight southern wind. It collected uneasily on the ground, wavering between solid and liquid. She pulled a handkerchief from her handbag and dusted away the soft snow on the park bench. It soaked through the thin fabric, and she stood staring down at the bench undecided. She didn’t really want to get her new green coat wet, but it could be a long wait. “Evelyn!” She spun around as Michael rushed to meet her, his loafers sliding slightly in the slush of the park path. “Mikey!” She squeaked, as he lifted her up and spun her around. His grip was tight around her waist, and she mused that the war had done him one favor at least. “How have you been?” His hair was parted on the side, sweeping over his forehead, with the cowlick right where she remembered. His voice was deeper, though. She had to remember, this was not the same Michael she had said goodbye to all those years ago. She wanted to ignore that. Pick up where they left off. She didn’t let go of his hand as they walked. She smiled straight ahead, and she realized suddenly that she wasn’t the same girl he left behind either. She felt stronger, more capable, more alive…more independent. Suddenly he stopped, staring up a tree still clinging to its late October leaves. It was an early snow, and it clung to the leaves and weighed them down. “Evelyn, your letters, they” he stopped, and the breeze pushed his hair from his face. He looked over at her. “Hey that’s a swell coat.” She smiled, not wanting to push him to finish his thoughts before he was ready. He raised his finger and flicked the rabbit fur pom pom in the middle of her breast. He smiled. “Real swell.” Suddenly, his finger paused and his eyes lost focus. He stared for a minute over her shoulder. She squeezed his hand, looking down. She didn’t even blush. She was definitely a different girl. The 16 year old girl he left behind wouldn’t have taken his hand first, would have been pink in the face and wouldn’t have dreamed of being alone in the park with a man. But she wasn’t that girl anymore. She was a woman, one who bought a bright green coat to welcome back her soldier, one who had waited for so, so long. She looked up, and met his eyes. She knew then, for sure. She had hoped of course, but she knew. They were both different, both changed, both with their own demons, but they were still meant to be together. 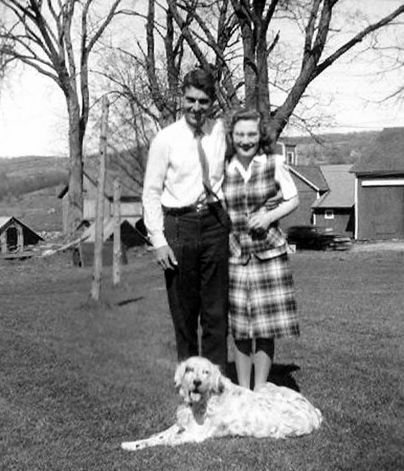 In a flash she saw it all – the farm they would buy after a few more years of work, the golden retriever named Mac they would get from a fellow at Christmas, the evenings with friends, the kids, the everything. She squeezed his hand once more and smiled, blushing a little this time. “Let’s keep walking” she said.